The model is a completely different design of the moon phase indicator. The small window showing the satellite of the Earth is placed between 9 and 12 o’clock positions and is surrounded by bending the branches of a tree. Engraved on the dial of the branches got the final forms due to paints of different colors. The original new Midnight Moon Phase watch has a round case with a diameter of 39 mm, made of white or pink gold. The case and lugs are decorated with diamonds. The champagne dial harmonizes with rose gold, and a white case – with a silver dial. 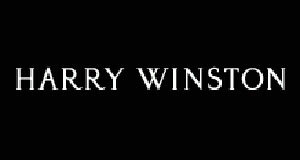 At the 6 o’clock position is a round aperture of the date and at the 3 o’clock position an interior arch Harry Winston in New York is lined by diamonds. It is interesting the design of hour markers: the top of the dial they are marked by lines and the Arabic numeral 12, and at the bottom instead of the labels are inserted diamonds that look like stars. The elegant Midnight Moon Phase watch by Harry Winston will become an inseparable part of the collection of the fair half of the planet. A satin strap in different colors, depending on the case color, complements the novelty. The model Midnight Moon Phase is equipped with a quartz movement.